WHAT: The University of Missouri School of Law and the MU Interdisciplinary Center On Aging will host a seminar examining the similarities and differences in how the United States and Japan view aging and disability. The seminar, “Guardianship and Special Needs Trusts: How Might Japan and Missouri Learn from Each Other?” will feature Makoto Arai, a professor of law from Chuo University in Tokyo, Japan. The seminar will feature numerous experts in the fields of disability and law and aging, discussing topics such as: challenges of adult guardianship and trust law in the aged Japanese society; health care decisions by guardians; and the use of trust in guardianship. 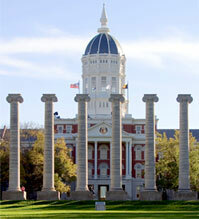 While in Columbia, Arai and fellow Japanese experts will be visiting the University of Missouri and the offices of the Midwest Special Needs Trust to examine Missouri’s policies on aging and disability and to determine whether Missouri’s programs would be appropriate for their home country. Arai is a graduate of the faculty of law at Keio University in Tokyo and received his doctoral degree from Ludwig Maximilians University in Munich, Germany. His research interests include the use of the trust system in an aging society and the encouragement of better utilization of adult guardianship. Arai also has authored numerous books on comparative law. Daniel Wheeler, probate commissioner for Jackson County, Mo.